Here are Myths and Facts about Bone Marrow Donation thanks to Dan Stack. An update on the information I learned today at the hospital meeting with Carol Gillespie and Carol Wiegand. *Nick will most likely start chemotherapy (a slightly different version from the first two rounds) tomorrow. His cell count is slightly better and the doctors are wanting to buy him some more time to find a donor. If not put him into remission, slow down the multiplication of cancer cells. *Once a match is found for Nick, it is usually about 30 days minimum until transplant date due to additional testing and analyzing that is required. I think the most important thing that I came away from the meeting was this: Potentially a match could be someone that has heard our push and been tested. If they went the longest route for test results, that’s 6 weeks from now until they are found to be a match. Add on top of that the 30 day minimum for transplant date. We’re looking at 2 1/2 months. God willing Nick has that. 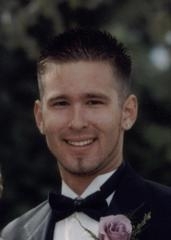 The message we need to push is do not wait, get tested NOWâ€¦.At a drive for Nick (being held in Bay Area, at EMC World in Orlando, and at EMC HQ in Massachusetts) or through an AADP kit. A side hopeful tidbit I learned is that a match could potentially be found from someone of a different race. Carole Gillespie said it is rare but she spoke of two cases she’s seen where someone of a completely opposite race was a perfect 10 for 10 match. It’s a shot in the dark, but you never know! Thanks again for all that you are doing! In case you’ve been hiding under a rock these past couple of days, you’ve seen publicity re: Nick Glasgow’s urgent need for a lifesaving bone marrow transplant. The difficulty is that Nick is part Sino-Asian (specifically 1/4 Japanese) and part Caucasian, which makes finding a match difficult. However, testing for a match is a simple cheek swab. Mark Fredrickson’s blog has all the details. Â Phillip A. Harris’s blog has up to date information on the search, including important donor links: www.marrow.org, www.aadp.org, www.asianmarrow.org, andÂ www.aabmf.org. Twitter has been all-a-twitter’ng about Nick, including my close personal friend (don’t sue me!) Phil Plait (hint to @donttrythis, @grantimahara, @pennjillette, @GStephanopoulos and all celebrities: we need more celeb re-tweets); and thanks to @storageanarchy there has been broad tweetsupport from IBM, SAP, HP, NTAP, HDS, …Â . Facebook has at least 2 groups, the main group and one I started, for which I even paid a very modest amount of money to advertise. 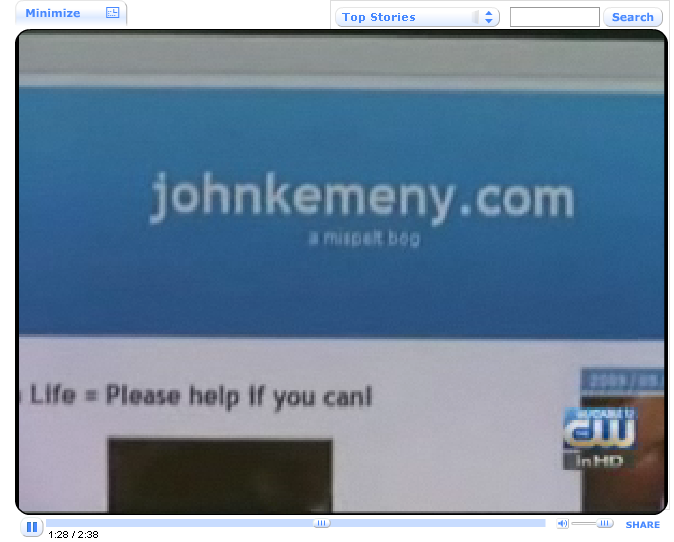 Then there is the free publicity this website got when CBS-TV Channel 5 in San Francisco/Oakland/San Jose ran a storyÂ (video) on Nick, and showed this website as an example, highlighting johnkemeny.com! The great thing about that is it made my unaware cousin Peter, who lives in SF (and Paris and the World), fall off his chair when he saw it!! Update: SF Examiner Story, Digg this, and ‘UP’ this. Saving a Life = Please help! Appropriately wearing a Sombrero (Galaxy), Audrey Hepburn would be 80 yesterday, the day before the Cinco de Mayo. Lia and Alan celebrate with her. You are currently browsing the johnkemeny.com weblog archives for May, 2009.